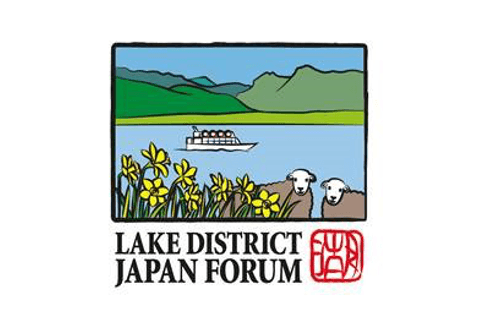 This week, the Lake District Japan Forum is welcoming eleven key decision makers from London-based Japanese tour operators to the Lake District, Cumbria. The aim is to showcase the very best of what the region has to offer and they will be guided around our inspiring attractions, experience our quality accommodation and sample the finest food and drink from across the county. Delegates taking part in the two day trip (19th & 20th April) of the area represent a range of influential travel trade agents including Virgin, Jac Travel, Tumlare/JTB and Discover Britain. For many Lake District tourism businesses, Japan is still the number one market for overseas visitors. Therefore the familiarisation trip will not only be an opportunity to discuss new opportunities and create itineraries for future visits, but also the chance for the tour operators to experience what’s on offer for themselves. The Japan Forum is made up of a team of Lake District businesses who have forged close links with Japanese tour operators over the last 20 years. During this week’s Familiarisation visit the tour operators will meet with Mountain Goat Tours, Rydal Mount & Gardens, Linthwaite House, Lakeside & Haverthwaite Steam Railway, Windermere Lake Cruises, The National Trust, World of Beatrix Potter Attraction, Lindeth Howe Country House Hotel, English Lakes Hotels Resorts & Venues, Blackwell, The Arts & Crafts House, Brockhole Visitor Centre, Dove Cottage, Grasmere Gingerbread, Ullswater Steamers and The Lakes Distillery. “The Beatrix Potter 150th celebrations being organised by the National Trust and others here and in Japan should prove a very good boost of promotional coverage for the Lake District and help maintain and even grow the number of visitors this year, next year and hopefully for many more years to come”. 3. With over 40 years of continuous service, Cumbria Tourism is the lead organisation for tourism in the county and is at the heart of the Cumbria visitor economy. It has a membership of more than 2,600 members who in turn employ thousands of employees.